Hereford: Since I moved to Charlotte, Snoop’s Grill has been one of my favorite burger joints. (Check out our review here.) 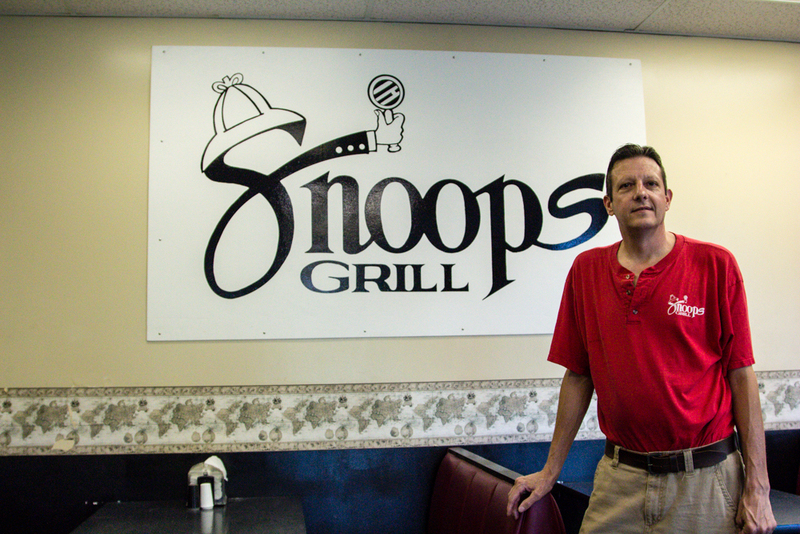 We recently had the opportunity to sit down with Jeff Bardin, the owner of Snoop’s Grill. I always saw him at the grill fixing my burgers, but I never had an opportunity to talk with him before. He was kind enough to meet with us recently and tell us about the history Snoop’s, and it’s previous name, Spoon’s, which was a part of Queen City for a long time. 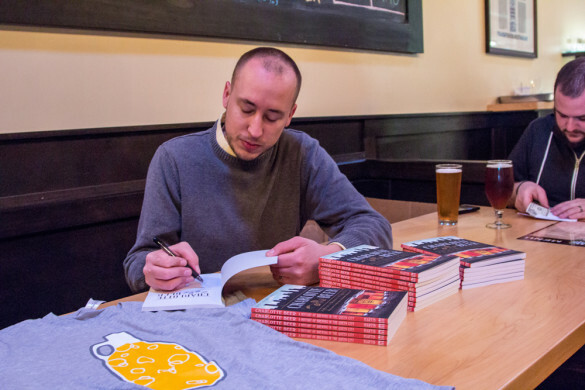 Charlotte Burger Blog: Jeff, thanks for talking with us. Can you tell us a little about yourself? Jeff Bardin: Sure, I’m the owner of Snoop’s Grill. I’ve been the owner for 11 years now. I formerly worked for Spoon’s Grill for 20 years before that. I’ve been in the restaurant business my whole life. It’s what I do. Charlotte Burger Blog: Let’s go back to the beginning. Where did Spoon’s come from? Jeff Bardin: Spoon’s originally started in 1929 on Pegram Street by the Spoon family, Elizabeth and Whitney Spoon. That’s where the name originated. My father, Gerald Bardin, bought it from the Spoon’s family in 1980. I went to work for him, a year later, when I was 16 years old. I started out in an old manufacturing plant making ice cream. I slowly worked my way into the restaurants. You know, we started out with just the original store on Hawthorne. 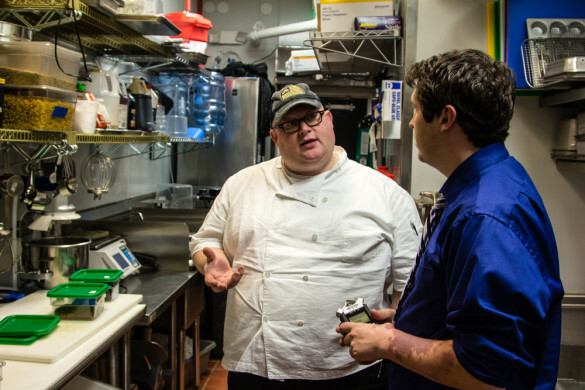 At one point there were 11 locations of Spoon’s around Charlotte and the greater area. When we started out it was just an ice cream parlor with a little toaster. No grill, no fryer, nothing like that. Over the years we expanded. Then we came up with the concept of the 1/3rd lb fresh burger, which was probably 20 years ago. 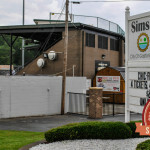 Interesting story about how the toppings bar started, my father was there by himself one day. Two employees did not show up. So we were fixing the burgers at the time, and he took all the stuff and spread it across the counter and told people to help themselves. We were like, “Wow, this is a great idea!” A week later he went out and bought an old bar that you pack with ice. Charlotte Burger Blog: We think the toppings bar is amazing. 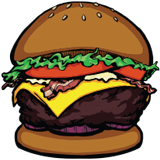 Charlotte Burger Blog: People are picky eaters, and the portion control allows you to get your burger exactly how you want it. Jeff: Absolutely. Like, what is light mustard? That’s a different thing to every single one of us, just what would that be. I think it is a very important part of what we do. I’m selling a great burger and great sandwiches, no doubt, but I think the bar is important. Charlotte Burger Blog: You definitely have great burgers. They’ve always been one of our favorites. Jeff: We use the number one beef producer in the country, IBP Ground Beef, it’s the best on the market, in my opinion. We use 80/20 lean, it’s not much of a secret. People always ask, “What do you put in your burgers?” I really don’t do anything special. It’s always fresh, never frozen. Our biggest thing is we cook to order. Unless you’re right in the dead middle of lunch, it’s going to be 6 or 7 minutes for a burger because I’m cooking them from scratch. You will never see a burger under a light, you’ll never see them sitting on the side of the grill. It’s not how we do it. Now, it’ll bury me sometimes. But, you know. Charlotte Burger Blog: Can you talk to us about the Spoon’s to Snoop’s change? Jeff: Well, when my father passed away his stock went into the hands of some people who decided to make some different choices in management. Paul is my business partner and my uncle, and one of the decisions was to let him go. When I basically stood up and was like, “This is not the right thing to do, he’s our numbers guy, he does all our bookkeeping, accounting, everything else. I’ve always been head of operations. I’m already going to be wearing another hat since my father is gone.” So after both of us twenty years with the company, both of us were let go. So, we were talking to a friend about what happened and he said, “You know, I would open a place across the street and call it Snoop’s.” I was like, you know, that’s not a half bad idea because it’s Spoon’s spelled backwards. We did everything we could to try and save Spoon’s. Me and my uncle spent thousands of dollars on attorneys. As a matter of fact, the year that all happened would have been the 75th anniversary of Spoon’s. So we branched out on our own. We bought this little place [on Westinghouse] under the name Snoop’s grill and waited. After about 11 months all of the old Spoon’s locations closed. We were fortunate. Paul and I had been in the business for a long, long time. 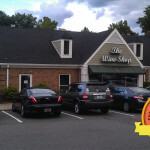 We had a great relationship with the landlord on Hawthorne Lane and we were able to pick that location up again. We came in, put up a fresh coat of paint, and basically went in doing the exact same thing. I did make some upgrades. We changed the hot dogs to all beef. We do a homemade onion ring instead of a frozen onion ring. We started making our own coleslaw. I’ll be honest, a lot of its cost saving measures, but it’s better! I had 60 cents an order for a frozen onion ring, and I can do a homemade breaded onion ring for 18 cents. It’s a little more labor intensive, but in the long run I’m saving a ton of money and I’m making a hell of lot better product. 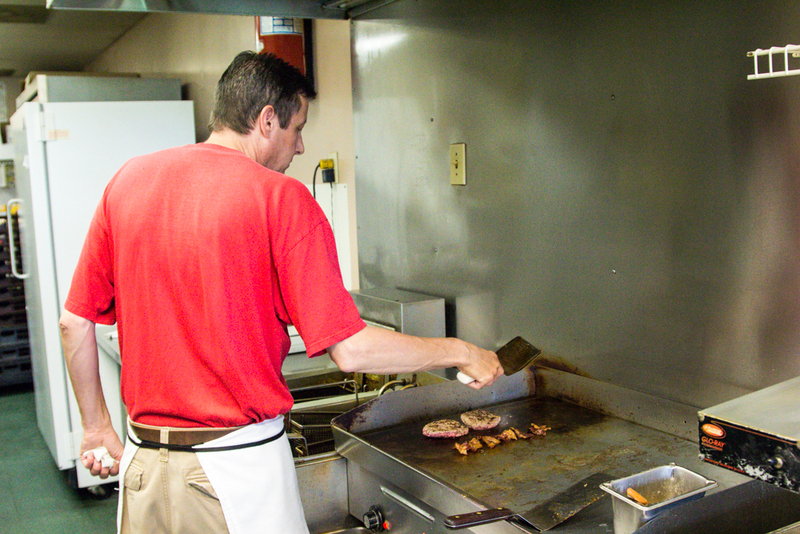 Charlotte Burger Blog: We mentioned in our review how much we miss the Hawthorne Lane location. Jeff: We just weren’t doing real well there. We had put it up on the market. Of course, we weren’t getting a lot of hits. A lot of people would have put a ton of money into it. Charlotte Burger Blog: Just because it was old. So, here we are. We’re down to one location again, but things are going good. We’re looking to expand again in the near future. Right now, to be perfectly honest, it’s a good time for commercial real estate. I’m looking, but the next one has got to be right. Charlotte Burger Blog: Definitely. Well, you’ve got a great history that we know a lot of people will remember. And, you have a great theme. We love all the spy stuff. We had the logo cups for a while, but the expense got way out of hand. Charlotte Burger Blog: Especially if it’s not plastic, it’s just going to get thrown away. Jeff: That’s right. It’s litter. I love the business. I love what I do. I love getting to know the customers. Charlotte Burger Blog: Which you definitely do. When we came to do the review I think we were the only people you didn’t know. It’s been that way forever. We had a store in Mooresville. And, I’ll be honest, I’m not a NASCAR fan at all. I don’t know anything about it. But my father loved NASCAR. There’s a a guy standing in line, and he’s like, “you know who that is?” I say, “yeah, he gets a double bacon cheese.” He said, no, that’s the crew chief for so-and-so racing. Angus: Thank you so much to Jeff Bardin for taking the time to sit down with us to discuss over 70 years worth of Snoop’s and Spoon’s history. 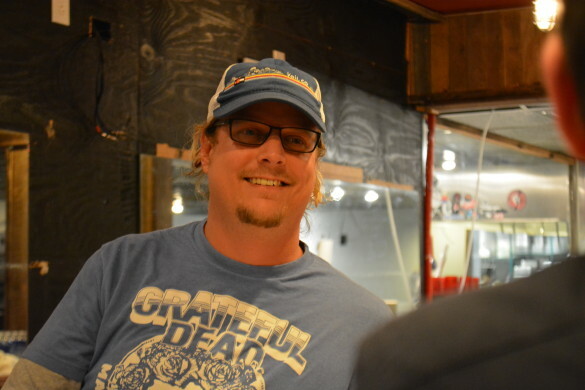 We know that you have to love what you do to keep going in the right direction and Jeff has that love that will keep Snoop’s grilling great burgers.